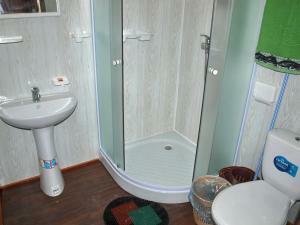 A-HOTEL.com - Luxury and cheap accommodation in Valy, Russia. Prices and hotel, apartment booking in Valy and surrounding. Park Hotel is situated in Toliatty on the picturesque bank of the Volga River Hotel. Guests can relax in the sauna or with a massage treatment at the hotel’s spa. Located 11 km from Tolyatti Bus Station, Cat's House offers accommodation with a patio, as well as a ski-to-door access and a BBQ facilities. Complimentary WiFi is available. Situated in Tolyatti, Sanatoriy Nadezhda provides air-conditioned rooms with free WiFi. Featuring a terrace and water sports facilities, this property is located a short distance from Tatishchev Monument. This hotel in the Anatolia Stepanova Sports Complex offers free Wi-Fi, a gym and the town’s largest ice rink. It stands beside a forest, 2 km from Tolyatti city centre. Apartment na Zhilina is set in Tolyatti. Guests staying at this apartment have access to free WiFi, a fully equipped kitchen, and a balcony. Apartament Belorusskaya 12/2 is situated in Tolyatti, 14 km from Tolyatti Bus Station, 5 km from Tatishchev Monument, and 14 km from Transfiguration Cathedral. Guests staying at this apartment have access to a fully equipped kitchen.